I wanted to take this further and try to come up with a solution that enabled a little more functionality when devices are physically co-located in a space but also to try and lay the ground for devices which are located elsewhere accepting that this might introduce latency issues. There is a holographic model that multiple users want to look at, talk about etc. Those users might be physically in the same space, meaning that the model should be consistently placed in their real world in a position that the first user into the scene chooses. 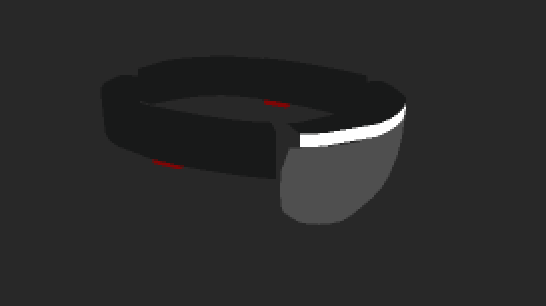 Users should be able to see the position of the HoloLens devices of other users and be aware of what those users are looking at. A stretch goal would be to allow users to annotate the model, scale, rotate it etc. As another stretch goal, I’d also like this to work for users who are in a remote location but I’m probably not going to get to that in this blog post. Identify the current WiFi network name and look for a room on the sharing service with that name. 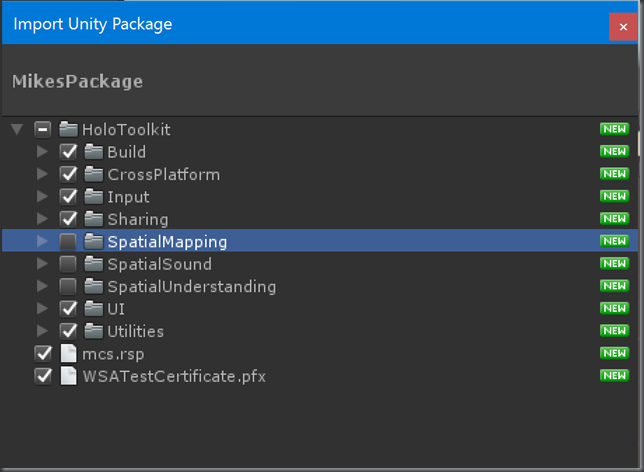 If that room exists, join it, download and import a spatial anchor and lock the model to that anchor. 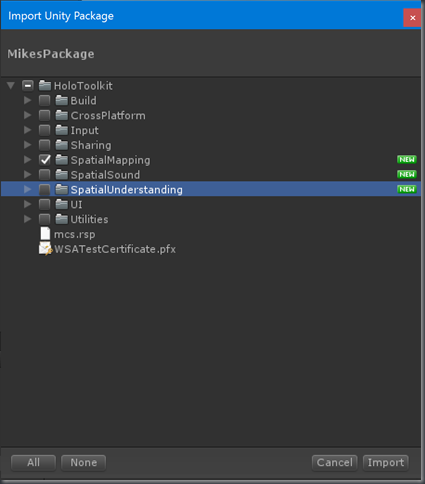 If that room doesn’t exist, allow the user to position the model and then create the room, add a spatial anchor to the model and export and upload it to that room on the sharing service. As users interact, broadcast their head positions (at some interval) over the network and remotely display those head positions and their gaze vector to the other users. For users in the same room, these head positions can be relative to some world-anchored object so as to make them translatable from one device to another. In a follow-on post, for remote users, these head positions need to be relative to the position of the models in the local/remote views. That sounds achievable so I wanted to give it a try and I thought I’d write up the steps here…although I’m setting off on this journey without knowing whether the remote rooms part of this is achievable or not and I suspect it will come down to finding out whether messages can be broadcast across rooms by the sharing service. Note that I don’t anticipate using the Spatial Mapping functionality here as I’m not intending to have my model collide with the real world but I do need the spatial perception capability in order for world-anchor functionality to work. 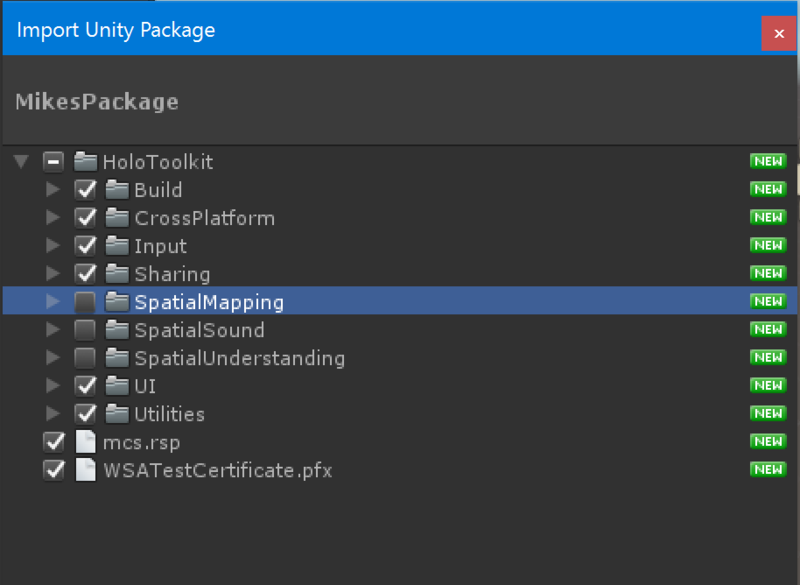 Import the SpatialMapping section of the Toolkit knowing that I’m not really using it. and then my project will build. 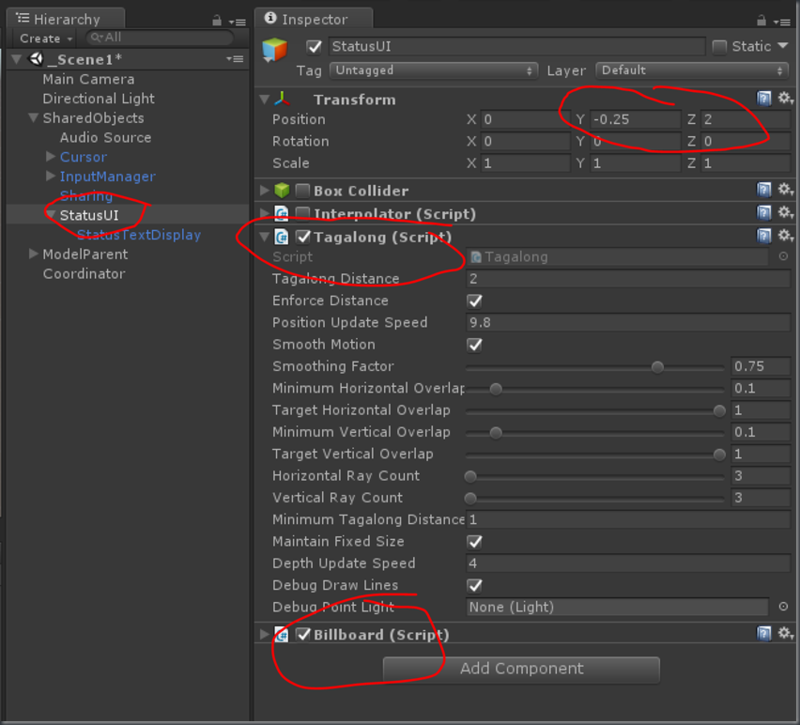 I also added a box collider to that model such that I can treat it as a single object in terms of hit testing and so on and, as you can see, I parented this model off an empty object named ModelParent. 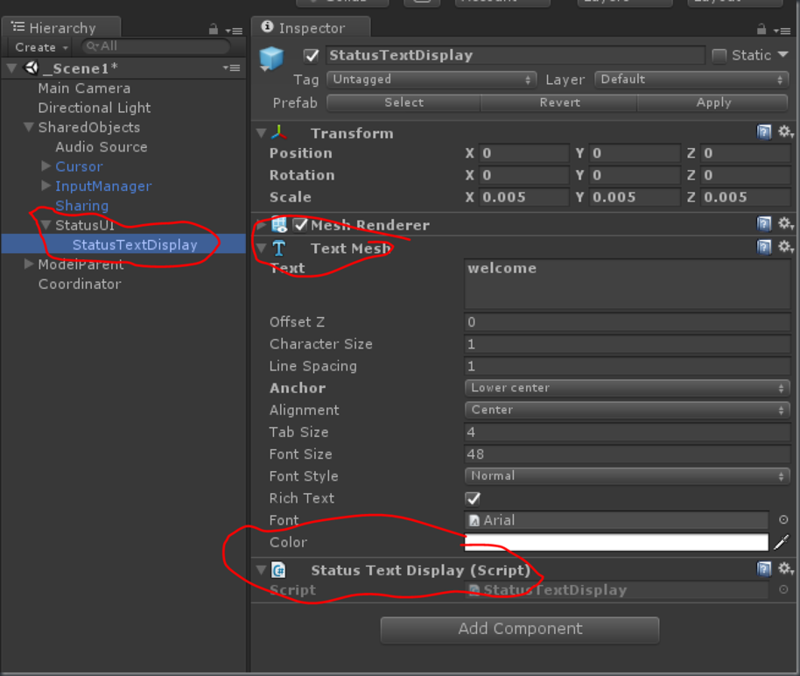 I want the user to be able to manipulate the model somewhat and so I’m adding a little bit of control. 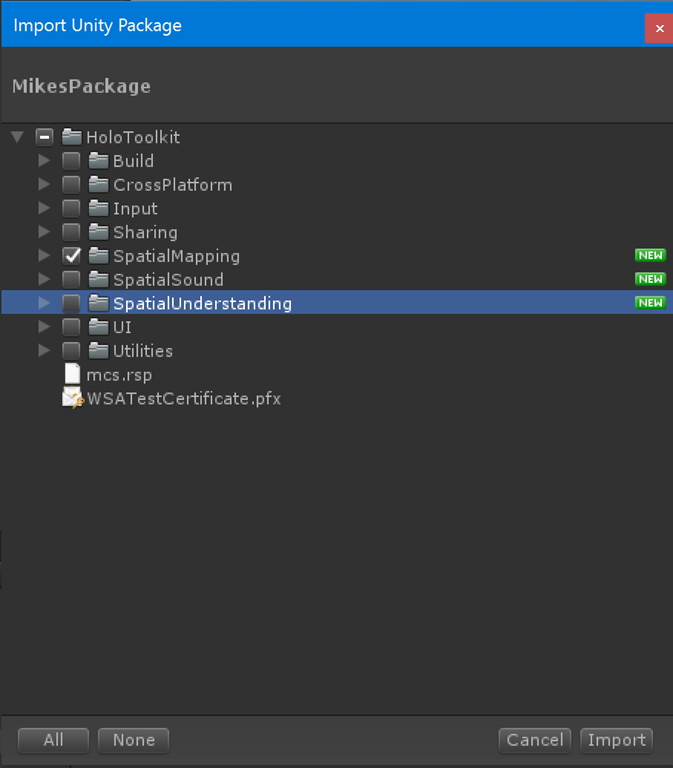 Note that I am not using the regular Tap To Place script because it has a dependency on Spatial Mapping so that it can collide models with the physical environment which isn’t a concern for me here. // These are all really just fudge factors based on a small set of observations. and this now gives me a model which I can move around via air-trap and drag and then, once done, I can say ‘lock’ and the script disables itself, fires an event and is done. 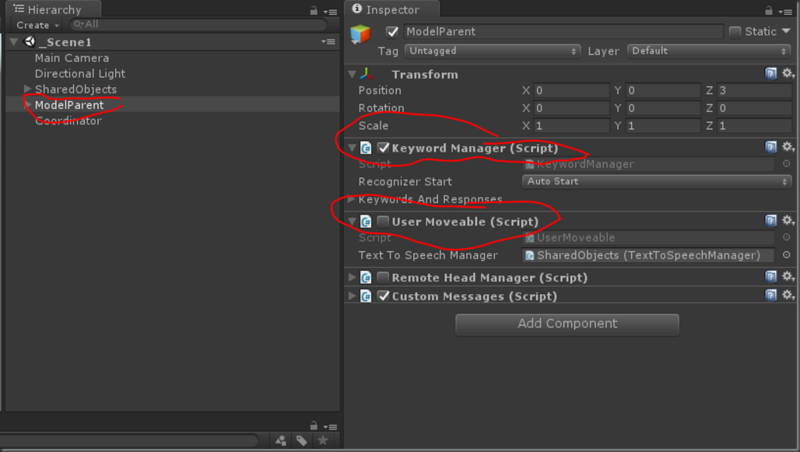 It’s worth noting that this User Moveable behavior is disabled when the app starts up and is turned on by a later script if it is needed. 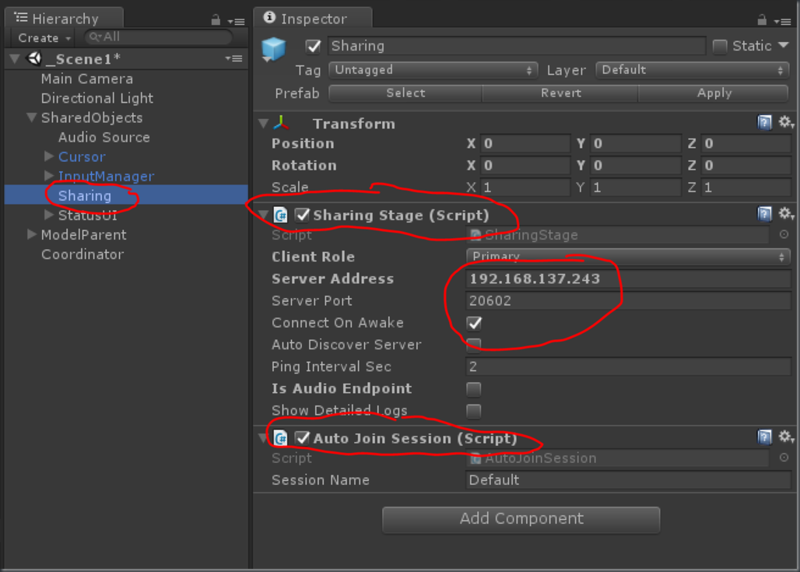 although, equally, I could have used the Connected event that this component also offers and so now I can add logic for when the sharing service is first connected. 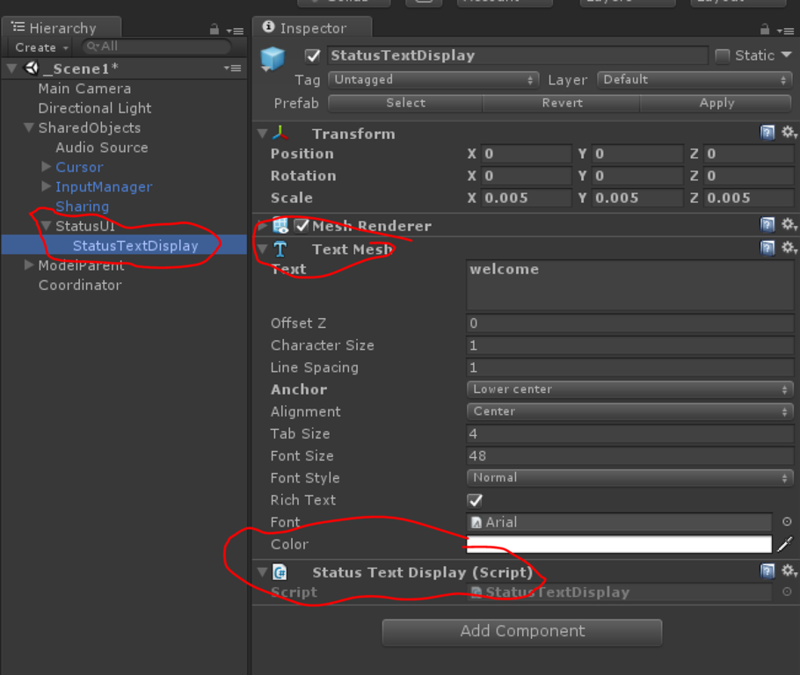 Note that the script has access to the parent of the model so it can enable/disable it at the appropriate point in the logic. A note on (2) above. I found that if I simply get hold of the RoomManager and call GetRoomCount() then it can give me a 0 result even when I know that there is a room on the sharing service. However, I’ve found that on the next frame that result changes and so I’ve added a little bit of code here which can call GetRoomCount() for up to N seconds to see if the answer it is giving me back is consistent. // here we give it a little time. // TBD: we're done importing the world anchor. // TBD: we're done exporting the world anchor. // Switch on the remote head management. 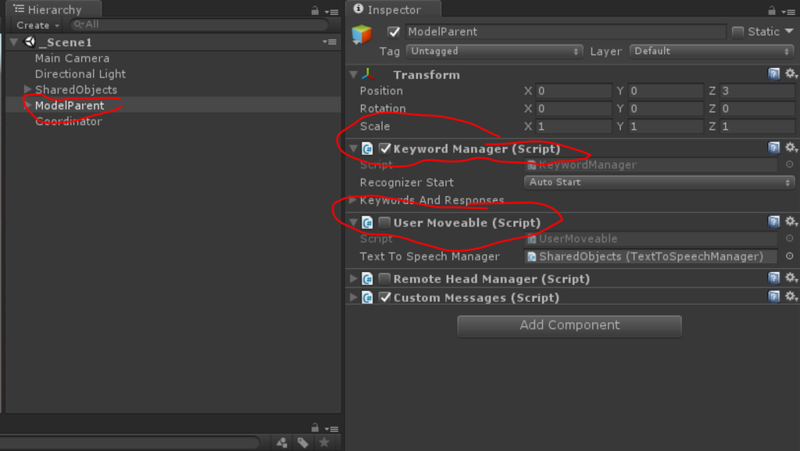 This script ends up applying either a component named ExportAnchorManager or ImportAnchorManager to the parent of the model depending on which is needed. 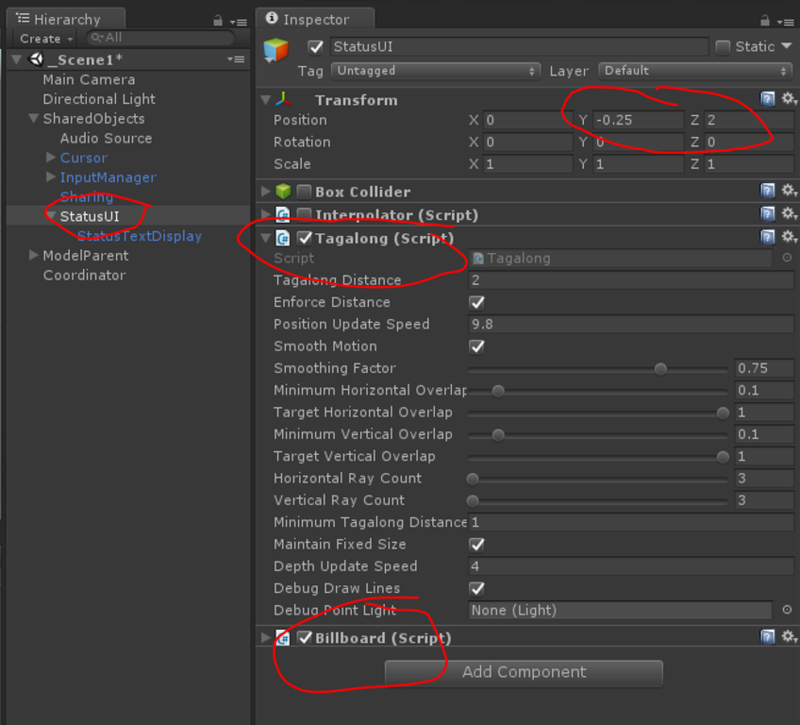 I took the Import Export Anchor Manager script from the HoloToolkit and split it out into two scripts with one for export and one for import. I mostly rewrote the code that I found in that script along the way and I certainly lost some of the robustness of the original script in doing so (in favour of simplicity) and I also took out some of the functionality (e.g. saving/loading anchors from the local anchor store rather than always hitting the network). Additionally, the scripts I ended up with assume that connection to the Sharing Service is already made and that the Room Manager has been used to set up a current room. /// The room manager API for the sharing service. /// are kept in rooms. /// Provides updates when anchor data is uploaded/downloaded. /// The anchor this object is attached to. /// Keeps track of the name of the anchor we are exporting. /// The datablob of the anchor. /// WorldAnchorTransferBatch is the primary object in serializing/deserializing anchors. /// Sometimes we'll see a really small anchor blob get generated. /// These tend to not work, so we have a minimum trustable size. and so at this point, I should have an app that can run on multiple devices and (in a basic way). The app will connect to the sharing service, create or join a room based on the WiFi name and will then allow a user creating a room to position the model where they want it and it will then progress through importing/exporting world anchors such that each user will see the model positioned in the same place in the real world. 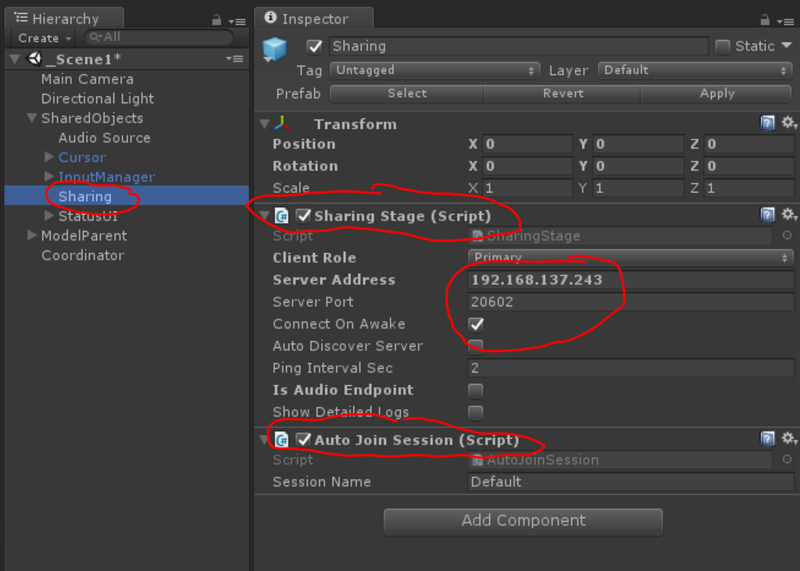 There’s already a script in the HoloToolkit-Unity which sends custom messages through the sharing service so that each device in a shared session can visualise the position of the other devices. 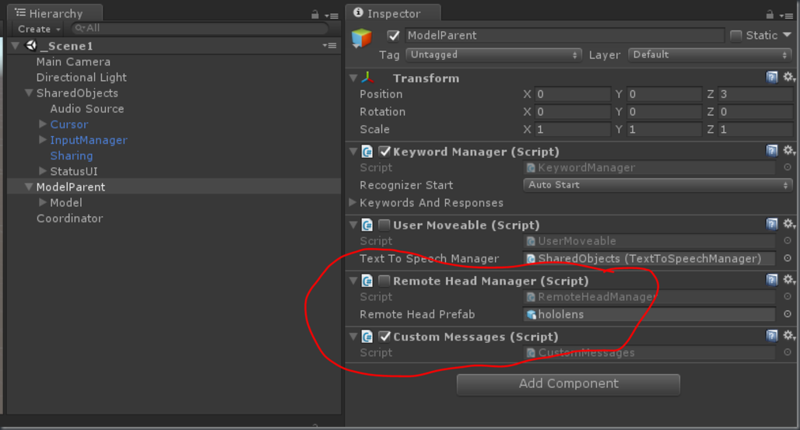 /// and adds and updates the head transforms of remote users. 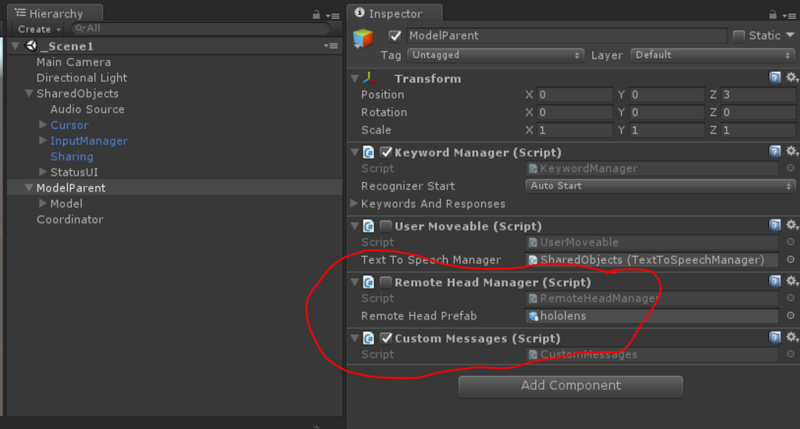 /// Head transforms are sent and received in the local coordinate space of the GameObject this component is on. /// Called when a new user is leaving the current session. /// Called when a user is joining the current session. /// Gets the data structure for the remote users' head position. /// Called when a remote user sends a head transform. /// Creates a new game object to represent the user's head. which will show up with a ‘ray’ emanating from it at the position where each of the HoloLens devices are present in the scene. 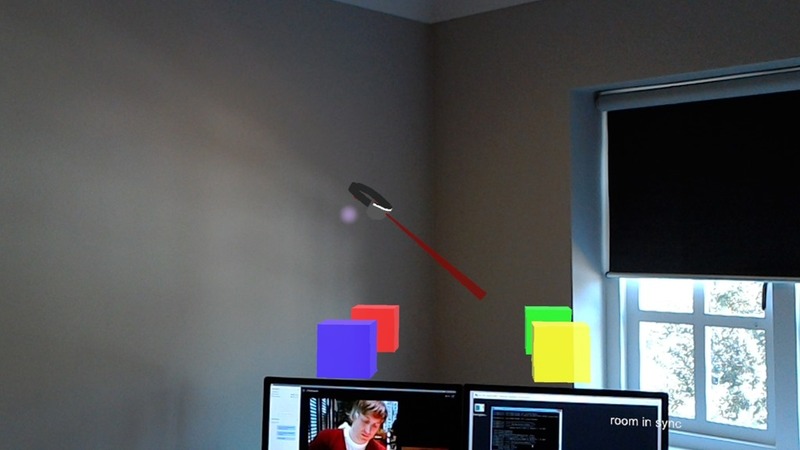 This post has got long and so I’ll break off and will follow-up in another post if I can get an extension of this code working with users who are not in the same physical rooms and so need a remote experience enabling. If you’re interested in following along, the code for the post is here on Github – enjoy!